We are always going to have a soft spot for them, after all they were the first products we printed when we started out. We know that even though it is the 21st century and almost everything is done online and through emails, the business card is still a vital tool for any business owner. And we have said numerous times about how a business card provides your clients with a first impression of your company. That is why, owe have expanded our range over the past five year and have even added a new service, so you, our loyal customers, are spoiled for choice. We now have four innovative ways in which you can have your business cards printed. Our standard, rectangular business cards are printed on 350gsm silk or uncoated card stocks. Printed in bulk to save you money, the standard business card is a classic. Starting at only £20 for 100 cards, you can be sure that this is great value for money. You can also make use of the entire 85x55mm space by having the cards printed double sided. These gorgeous cards are litho printed on 400gsm and are then trimmed, or finished with your choice of gloss or matt lamination. We don’t mean to sound biased or anything, but we use this option for our own cards. Again we offer this option to be printed double sided. Being a luxury product, there is a slight price increase, but at £45 for 250, our Luxury business cards are well worth it. Just like our fabulous luxury range, these stunning cards are litho printed. The difference is that they are printed onto a 457 mic Kraft card. These cards are perfect for creating a vintage, rustic style design. Because of the material used, these cards also make great loyalty cards. This option starts at just £63+vat for 250 and, again, you can utilise that extra space on the back by having your cards printed double sided. A disadvantage of this card, however is that due to it’s natural brown colour, some colours (such as yellow) don’t show up as well. This is a relatively new service we offer. We know that you want your business cards to stand out from the rest and wow your clients with their unique design. That’s why we have upped the game in business card printing by rounding off the corners! This service is available across all of our digitally printed range, so whether you have a standard, Luxury or Kraft business card, you won’t miss out. So there you have it folks. Don’t say we don’t spoil you! 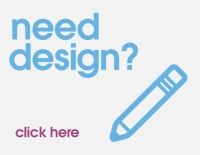 If you need a quote for your business card design, or perhaps you would like get advice from our design experts, don’t hesitate to get in touch by phone on 02890022474 and our team will be help answer your queries.